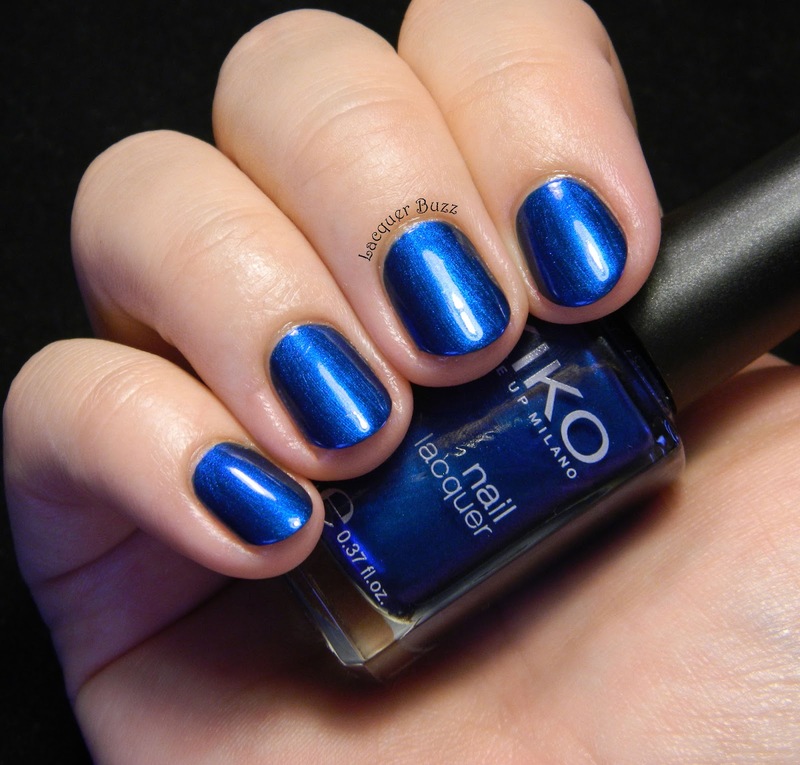 Shade 520 is one of the newer Kiko shades from the permanent collection. I picked it up this summer while I was away on vacation. I always enjoy having shades like this one on my nails and I noticed a little something special while looking at the bottle. 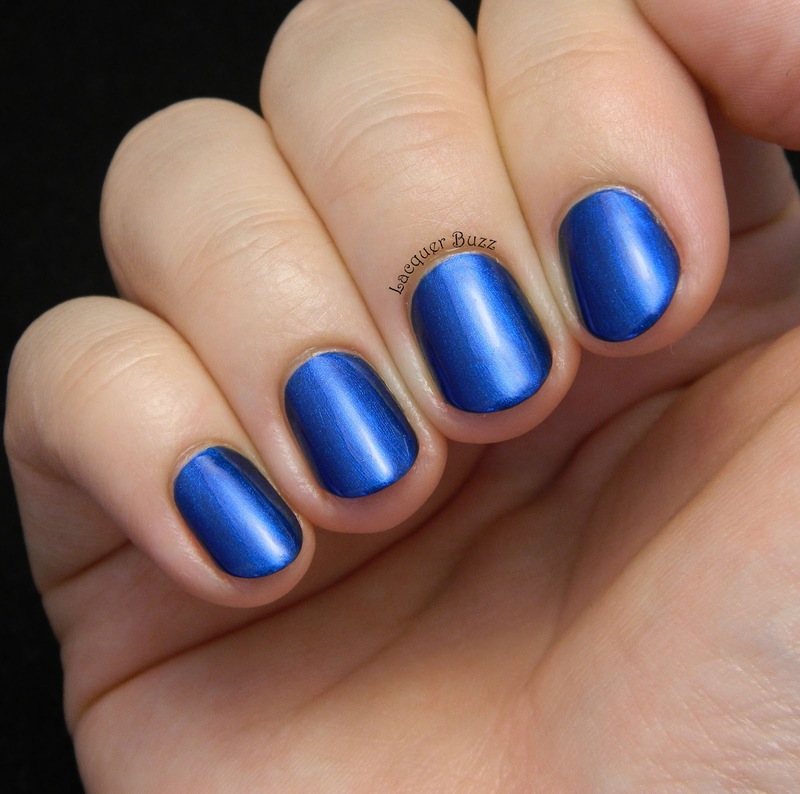 The polish is also called Gentian Blue Metallic, but after googling the gentian blue shade I realized this is not the best description for this polish. It's darker and a little greener than gentian blue. There's also a purple sheen in the bottle that doesn't really translate on the nail unfortunately. I had to take my photos in direct light to show the metallic quality of this polish. It just doesn't look right in the light box. 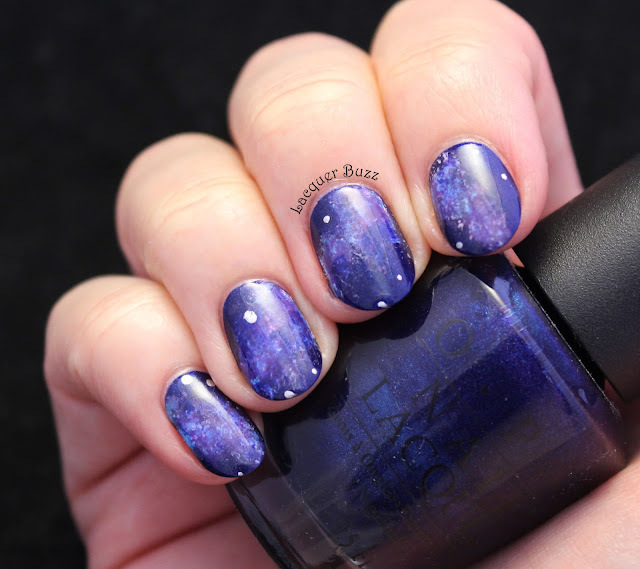 I used two coats for these swatches because one was almost opaque but had a few bald spots. 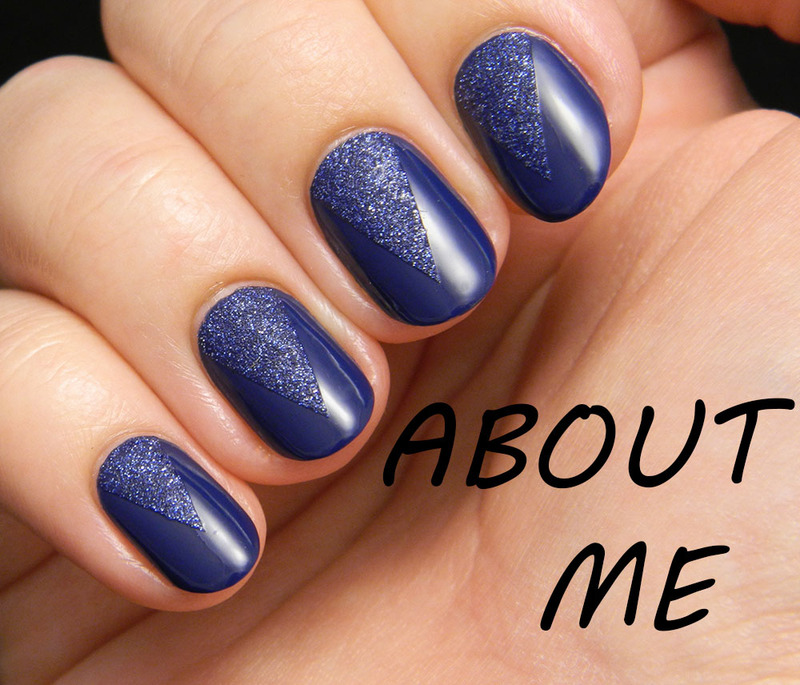 It dries to a semi matte finish so top coat is a must to make it extra shiny. 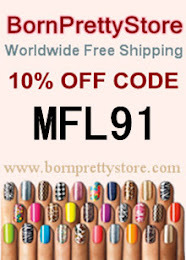 I really enjoyed wearing this polish on my nails. It's simple, yet edgy and original at the same time. Plus the darker shade looked really good on my short nails. 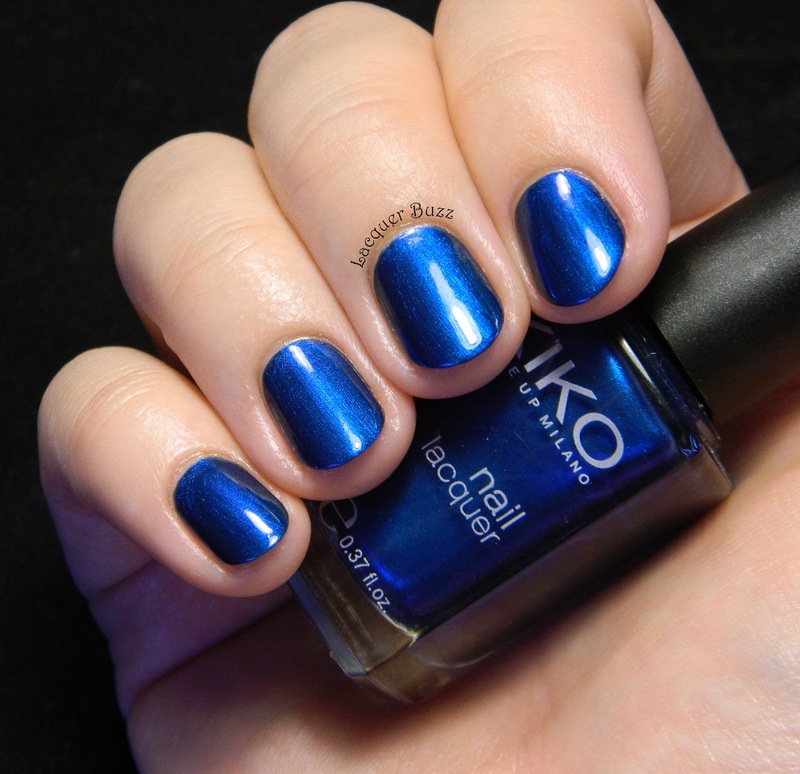 As usual I'm very happy with Kiko polishes. I would probably own them all if I could. 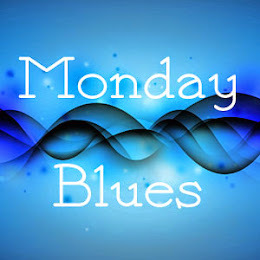 Meanwhile don't forget to check out some more Monday Blues by clicking the links below! The shimmer is so pretty!!! Love this shade on you!